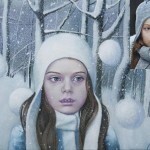 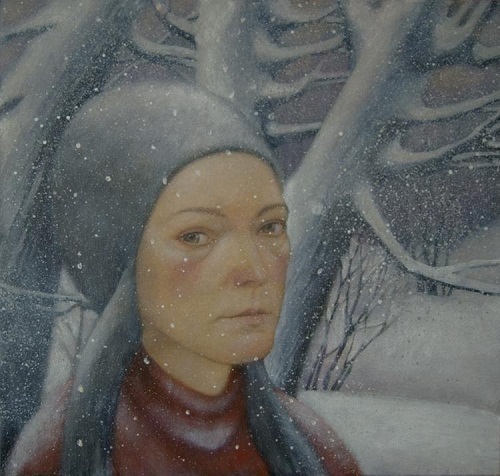 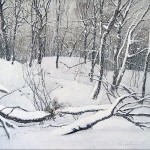 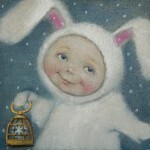 Winter tenderness by Natalia Syuzeva, Russian artist born in 1965 in Penza. 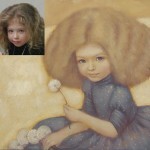 Syuzeva is a professional fine art painter. 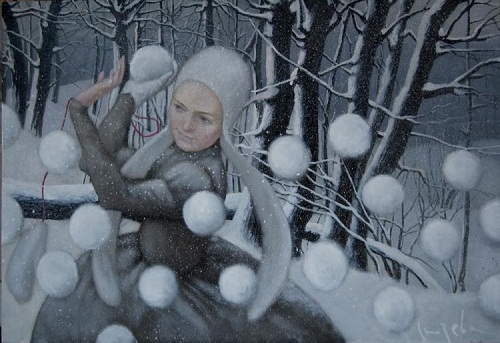 After graduation from the Penza Art College (1980 – 1984) she lived in Riga, Latvia. 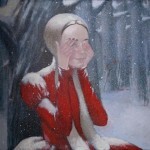 And there she studied graphics courses at the Latvian Academy of Arts. 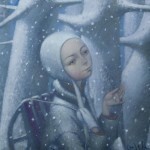 However, from 1990 to 1993 she lived in the Siberian city of Tomsk. 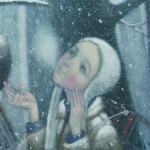 During this period, actively worked with her husband, Sergei Syuzev in the poster genre. 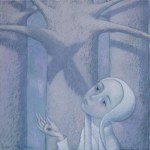 As a poster artist in 1993, she became the member of the Union of Artists of Russia. 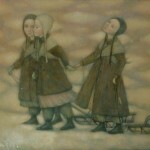 But in 1994 Natalia Syuzeva again returned to Penza, where she lives and works now. 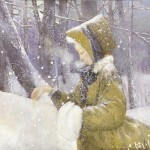 For many years, she taught art at school. 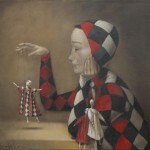 Natalia’s favorite technique – oil on canvas. 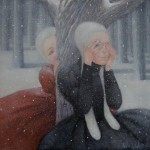 Meanwhile, almost all of her characters are children and women, with their gentle, mysterious and fragile inner world. 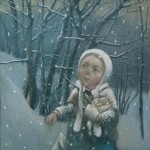 The art works by Russian artist Natalia Syuzeva are in private collections in Russia, France, America, Canada, and Germany.